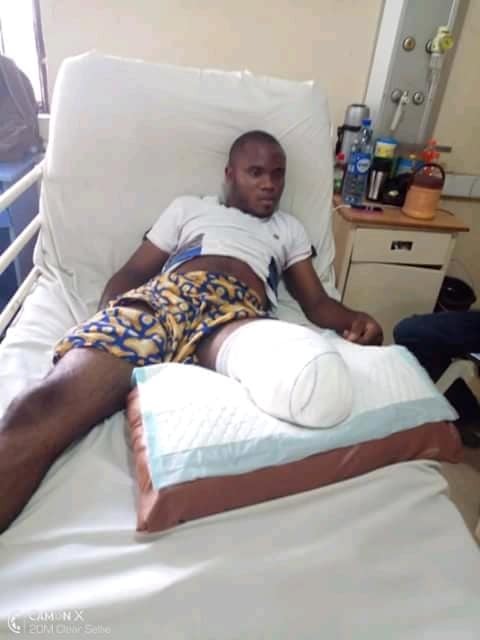 Paul Kpema, a young Nigerian man, has narrated his sad experience after losing his leg following an accident which happened to him at a police checkpoint in Delta state. 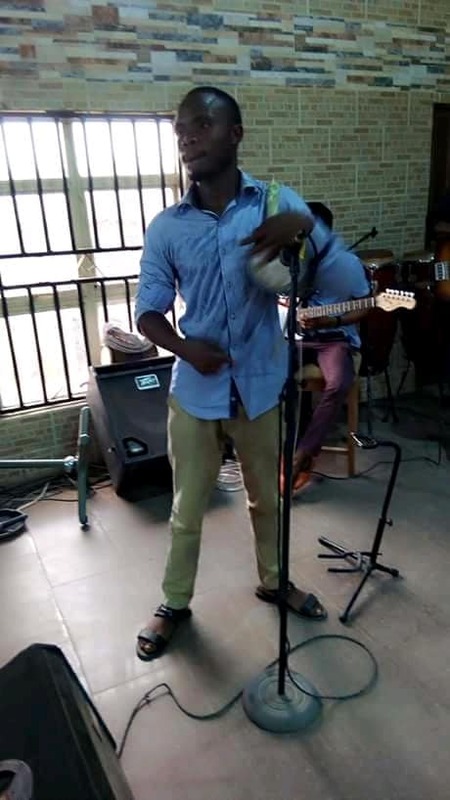 The young man who happens to be a gospel instrumentalist, was booked to perform in a program before the unfortunate incident befell him while trying to 'sort out' police officers on the road. But as he drove on, he observed that the team of police officers were chasing us with their hilux van, so the driver packed and the police officers highlighted from their van and approached us. They now requested for the documents of the bus, but the driver told them it has expired, as usual you know our Nigerian Police, they requested for N10,000 before they can let us go. The driver said he has no money on him, so they ordered myself and the conductor down and asked one of their Colleague to enter the bus and instructed the driver to reverse the bus, that they are arresting the bus, so the driver did as he was told, he drove on and crossed the bridge, then reversed as if he was coming back to Sapele and was told to park opposite where we were standing. Seeing that there was no headway, I volunteered to offer them N3000, because I was getting late already for the program, myself and the conductor crossed the road to meet them were they parked, while I was bringing out the money from my pocket standing at the back of our own bus a car that lost control while trying to overtake a trailer in full speed came and hit my two legs, on the spot my right leg cut off from my body, before I knew it I saw myself at Delta State University Teaching Hospital Oghara (DELSUTH)…"
This was same guy before the unfortunate incident.